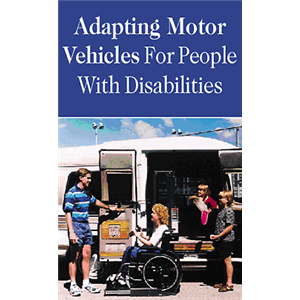 The vendors listed on this consumer education sheet sell, rent, and adapt new and used vehicles for people with disabilities. Many are nation-wide providers. Accessible Journeys provides wheelchair accessible group tours for wheelchair travelers, their families, and friends. 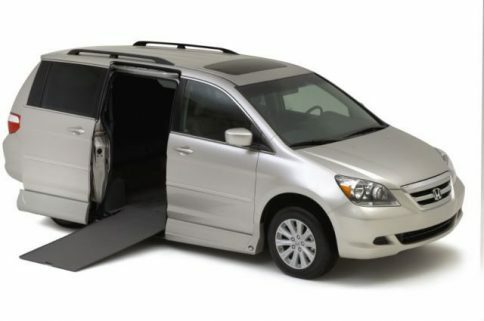 As an industry leader in wheelchair accessible travel for over 30 years, careful attention is provided to ensure all activities are inclusive for vacationing guests with wheels. This is a brochure can be downloaded from the National Highway Safety Administration. It gives tips on adaptive technology for driving. Along with information on requirements, training, and adaptation costs, this publication contains advice on evaluating your need and choosing and maintaining a vehicle. “There are many people who have fished all of their lives, then they incur a disability and kind of give up…..the truth of the matter is, getting back into the stream of life through adaptive fishing is possible!” This consumer education sheet from Disabled Sports USA provides practical ideas for adaptive fishing with links to adaptive fishing equipment vendors and organizations. For people with spinal cord injuries, adaptive sports and recreation may be key to lifelong wellness. Without such activity, people with spinal cord injuries maybe be at higher risk for physical and mental health problems, such as obesity, heart disease, and depression. 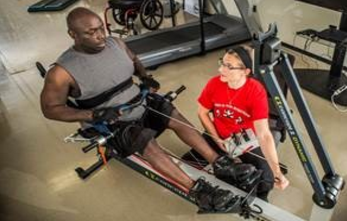 Read this factsheet to learn more about the health benefits of adaptive sports and recreation after spinal cord injury. Planning ahead and understanding how airlines can support your travel needs can pave the way for successful air travel. This consumer education presentation outlines key points for creating a positive air travel experience with tips on understanding your rights, things to consider when making a reservation, the check in process, transport to and from the gate, getting through security, getting on the plane, stowing your wheelchair, equipment, and devices, getting off the plane and to baggage, and other personal considerations. 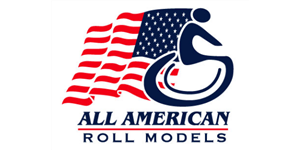 All American Roll Models is a not-for-profit corporation that was established to help people with physical challenges get access to recreational and sporting activities and support services. Our website and social networking community is available to anyone that wants to achieve success in their life, no matter what their circumstances may be. Join our organization and become part of a powerful movement that is sweeping across the country. AAASP is dedicated to creating a “national network of interscholastic adapted athletic programs.” The focus is on ensuring that children grades 1-12 with physical disabilities are not left out of athletic competition in their schools. AAASP’s comprehensive training program allows administrators, coaches, and officials to acquire the knowledge they need to be successful. Professional coach and official training enables high quality adaptedSPORTS programming in wheelchair handball, wheelchair basketball, wheelchair football, and wheelchair track and field for its member school districts. A national manufacturer and supplier of wheelchair ramps and showers, Amramp offers home modification services. They provide a free property evaluation and consultation on adding a ramp to your home before building, as well as the option to rent ramps for special events. The website gives detailed advice on how to determine the best type of ramp for your lifestyle, a listing of various funding sources, and a blog that often sites ideas on how to find additional funding for home modifications. This dance company features dancers with and without disabilities. The professional troupe performs across the country, showcasing their talent as well as educating the public through special disability-awareness presentations and interactive performances for schools. The company also provides classes and workshops for children, teens and adults with or without disabilities. Click on Programs to identify classes, advocacy activities, and other resources. Based in Southern Florida, the Center for Neuro Recovery helps individuals with spinal cord injury, stroke, and other neurological disorders through a post-rehabilitation functional movement exercise, strength, and conditioning programs. Utilizing state-of-the-art researched-backed equipment the Center for Neuro Recovery’s® Comprehensive Activity-based Strength Training (C.A.S.T.®) program helps individuals reach maximum levels of functionality, independence, and regain as much lost capability as possible through repetitive, activity-based strength training. Dancing Wheels is a professional, physically integrated dance company uniting the talents of dancers both with and without disabilities. It proudly opened its doors in 1990 and has become regarded as a world-class training center for dancers, choreographers, and educators. Dancing Wheels continues to travel the globe advocating for disability awareness and entertaining thousands of people each year. Dancing Wheels also provides weekly in-studio classes for adults and children age two and older, both with and without disabilties. 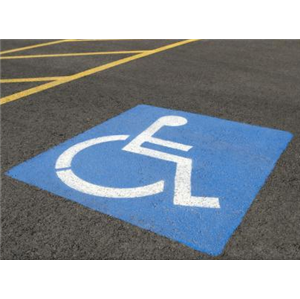 This website from the Illinois Secretary of State Office lists several publications and forms for persons with disabilities who live in Illinois: Application for Illinois Disabled Person Identification Card, Application for a replacement parking placard, Parking program for persons with disabilities, Certification for disability license plate, Certification for parking placard, and What you should know about Accessible Parking. If you do not live in the state of Illinois, check your state specific Secretary of State Office or Department of Transportation website to identify similar information. Disabled Sports USA is a national nonprofit organization established in 1967 by disabled Vietnam veterans to serve injured members of the US military. Now, DS/USA offers nationwide sports rehabilitation programs to anyone with a permanent disability. Activities include winter skiing, water sports, summer and winter competitions, fitness and special sports events. Participants include those with visual impairments, amputations, spinal cord injury, dwarfism, multiple sclerosis, head injury, cerebral palsy, and other neuromuscular and orthopedic conditions. On the main tool bar, click Chapters and then select your state of residence. From there, you’ll be able to find information on adaptive programs for you or your child in your area. Every Body Fitness, an exercise ideology created by Physical Therapist Kristin McNealus, is the first online exercise program for people with spinal cord injuries. The 45-minute Fitness And Strength Training (F.A.S.T.) class is offered online, twice weekly. The online exercise program is the solution to many wheelchair users’ transportation problems and isolation issues. Members to the F.A.S.T program can also have access to a support forum where they can track their progress and interact with other participants, increasing the motivation to stick with the program and achieve goals. Benefits of the workout program include strengthening scapular stabilizers, increasing endurance, improving muscle tone, and weight loss, which studies have shown improve mood, increase energy, as well as lower the risk of common health complications associated with spinal injury. People with spinal cord injuries are more likely than the general population to have health problems related to weight gain, changes in cholesterol, and high blood sugar. People with spinal cord injuries are also at higher risk of cardiovascular disease and not being active may contribute largely to these problems. Read this factsheet to learn more about the possible health benefits of exercise after spinal cord injury. Canadian Fashion Designer, Izzy Camilleri, has created a line of adaptable men and women’s clothing intended for a “seated clientele.” Here you’ll find contemporary clothing designed for fashion and comfort in the context of a wheelchair. The website features tops, skirts, pants and jackets in a variety of styles. 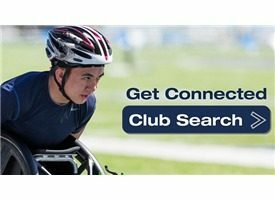 U.S. Paralympics partners with community organizations from across the country to create a network of Paralympic Sport Clubs that provide local sport programming for individuals with Paralympic-eligible impairments. Founded in 1981, the Handicapped Scuba Association has dedicated itself to improving the physical and social well being of people with disabilities through the sport of scuba diving, and in doing so, has become the worldwide leading authority in this field. Made up of over 4,000 underwater educators, scuba divers with disabilities and supporting members, located in over 45 countries, the Handicapped Scuba Association is dedicated to assuring that people with disabilities are given the same opportunity to receive quality training, certification and dive adventures as the able-bodied population. Search for an instructor near you to identify opportunities for SCUBA certification. Infinitec provides information about assistive technology as well as training, equipment, and access to specialists and resources. The program leverages the power of technology to advance independence and promote inclusion opportunities for children and adults with disabilities. Explore this website to discover how technology can support individuals at play and work. Wheelchair tennis is an internationally celebrated pastime. Whether you’re looking for long-term sports goals or tips on how to get a game going with family and friends in your area, this is the place to start. Stay informed about national wheelchair tennis news and see how much the sport has grown since it began in 1976. Click on Development for information on programs available in your country, tips for finding people to play with, accessible courts, and coaches. Journey Forward is a 501c(3) non-profit organization that is dedicated to bettering the lives of people with spinal cord injuries through an intense exercise program. Based in Canton, MA, Journey Forwards serves clients with all different levels of injury and abilities in a full body, activity based fitness and wellness recovery program. The Kelly Brush Foundation was established by family and friends in 2006 after Kelly was injured in a ski race and sustained a spinal cord injury. The foundation advocates for improved ski racing safety, supports research to treat and cure paralysis due to traumatic Spinal Cord Injury, and is dedicated to improving the quality of life for individuals living with Spinal Cord Injury by purchasing adaptive athletic equipment for those with financial limitations. The Kelly Bush Foundation also supports the U.S. Adaptive Ski Team. Adapted sports equipment grants are made available through this foundation for skiers or snowboarders with a spinal cord injury. 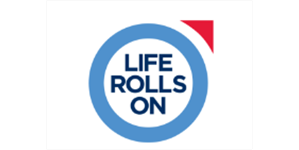 Jessie Billauer started the Life Rolls On Foundation in 1999 after he became quadriplegic in a surfing accident. It’s mission is to be a resource and advocate for young people whose lives have been affected by spinal cord injury. The foundation focuses on promoting an active lifestyle despite mobile impairment as shown in their flagship program, “They Will Surf Again.” This is a no-cost adaptive surfing program for individuals with a spinal-cord injury. Explore the event calendar to learn about upcoming activities and volunteer opportunities. 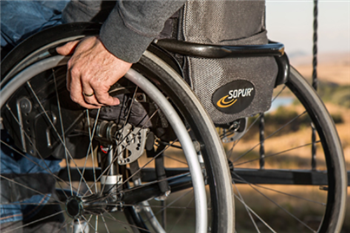 Wheelchair maintenance can reduce wheelchair breakdowns and related consequences, as well as costs for repairs and replacements. 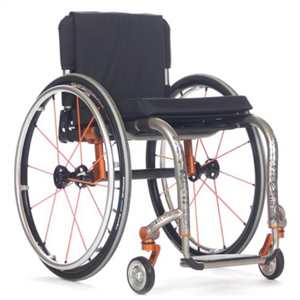 This guide provides basic details on inspecting and maintaining wheelchairs. Members of Mouth and Foot Painting Artists (MFPA) paint with brushes held in their mouths or feet as a result of disability that prohibits them from using their hands. MPFA in an international non-profit association wholly owned and controlled by artists with disabilities to meet their finanical needs. Explore their website to learn more about each artist and see examples of their work. “In the News” and the newsletter “The Canvas” highlights various events and accomplishments of artists in North America. This informational website offers extensive resources on living an active life with a disability. 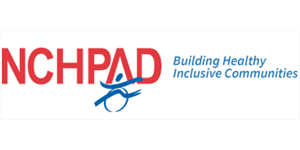 The NCPAD offers information on adaptive sports and recreation, such as sled hockey, adapted martial arts, and camping as well as how to access them. Here you’ll find lists of accessible parks in your area, pages on various adapted sports, and articles and videos on health and fitness. The section on Spinal Cord Injury provides information on the importance of exercise, the best exercise for persons with SCI, important considerations when exercising, cardiovascular, strength, and flexibility training guidelines. An injury doesn’t mean a passion for sports has to end. 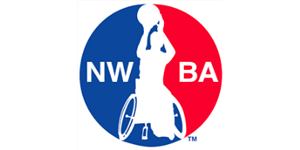 The NWBA highlights the presence of wheelchair users in the basketball community. On this website, you’ll learn about the top competitors in wheelchair basketball and find the latest news in international wheelchair basketball competition. In addition, there are forums that cover sports and statistics, as well as health and fitness for wheelchair users. 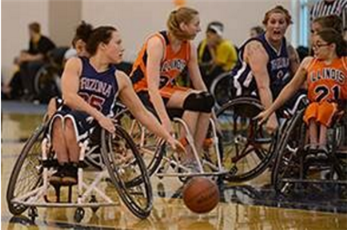 Click on “Our Leagues” and explore Divisions to learn more about wheelchair basketball tournaments and invitationals, as well as college-ball athletes and team rankings. With over 30 teams nationwide, wheelchair softball is gaining momentum as a summer sport. Here you’ll find contact information for local teams, how to get involved as a player, coach or supporter. To learn more about a team in your state, explore the Active Team listing. You can also view photos and game videos. After a spinal cord injury, NextStep Fitness founder, Janne Kouri, was unable to find a fitness center for people with physical disabilities after rehabilitation. So, with the help of his family, and Dr. Susie Harkema—a neuroscientist who helped create Locomotor Training and Activity Based Therapy— Janne and his wife started NextStep Fitness. Like Janne himself, NextStep Fitness strives to help its clients stay strong, stay fit and stay healthy. Transferring in and out of a wheelchair puts higher stress on arms and shoulders than anything else one may do on a regular basis. Learning the correct way to transfer is extremely important in order to keep arms functioning and pain-free. This factsheet from the Model Systems Knowledge Translation Center is also available in Spanish. The University of Alabama at Birmingham Spinal Cord Injury Model System maintains an extensive information network of spinal cord specific resources. The fact sheets offer quick references to basic spinal cord injury health information. Daily Living topics provide consumer education on Adjustment, Assistive Technology, Caregiving, Family & Relationships, Health Management, Home Modification, Leisure, Mobility, Nutrition, Sexuality, School, and Work. Additional Rehab Tip Sheets provide information on common activities, such as wheelchair positioning, assisted pressure relief, lift transfers, assisted transfers and bed positioning. SCI Health Education Videos are also available for a vairey of secondary conditions. 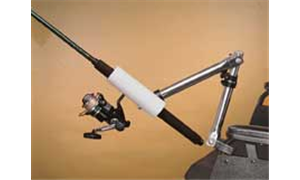 The wheelchair is a complex piece of equipment that has been extensively engineered and studied. Becoming a wheelchair expert increases your ability to get a wheelchair that truly meets your needs. While it is not possible or a single handout to teach all there is to know, topics covered by the Model Systems Knowledge Translation Center on Getting the Right Wheelchair, The Manual Wheelchair and The Power Wheelchair include key information that can support your ongoing development of wheelchair knowledge. It is the mission of the ThreeSixtyFive Foundation to provide, through financial and non-financial means, assistance to physically challenged individuals in returning to an active lifestyle during the first year of their recovery. Like most charity organizations, fundraising efforts are the primary source of income for this foundation. Hosting few events each year, along with individual donations allows ThreeSixtyFive to identify and support new recipients. Fundraising support is provided to a resident living with a spinal cord injury in the greater Indianapolis area. The charity partners with an individual during the first three hundred and sixty-five days of recovery. Offering financial help, but more importantly creating the window whereby the individual can draw uhis or her own motivation for facing the challenges ahead and moving forward. 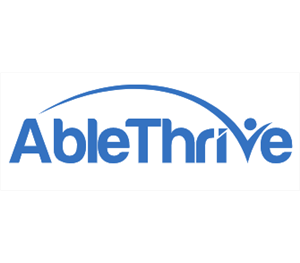 Trip-Ability is an accessible travel, entertainment, and product review site for for people with disabilities and their travel companions. 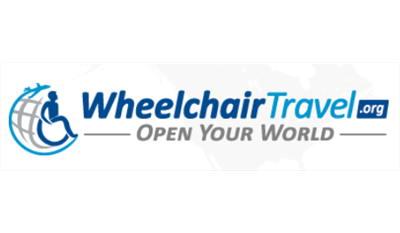 The site provides information on the current state of accessibility by destination including logistics, accommodations, activities, restaurants, and emergency services with travel guides for major cities across the globe. 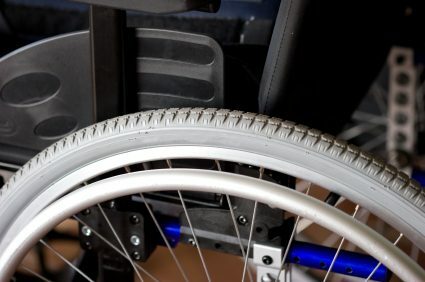 This guide from the United Spinal Association outlines the many types of wheelchairs available from manual and power, to sport and all terrain. Power soccer is the first competitive team sport for power wheelchair users. The USPSA offers information on how to start playing, find equipment and learn the game. You can also check out the latest power soccer news, marketing videos about the game, and even watch the archived videos of power soccer World Cup tournaments. Click on Get Involved to learn more about joining a team, contacting a coach in your state. “Smashing Stereotypes One Hit at a Time” is the USQRA’s mantra. Introduce yourself to one of the most empowering sports available by clicking through this website to read about quad rugby teams both local and national. You can also see video and pictures, and learn about news and events. Select The Game from the top menu bar. This provides you with an overview of how quad rugby is organized and played. Information to find teams in your region, form a team or join a team can be located on the left tool bar under Teams. Founded by triple amputee John Morris, this website provides a blueprint for traveling with a disability. Detailed wheelchair accessible travel guides describe the nature of accessibility in cities across the U.S., Europe, Africa, Asia and the Middle East. Morris writes only about the places he has visited and is committed to providing the tools to access the world independently. Will2Walk Foundation is an organization that promotes staying active, fit and independent after a spinal cord injury. 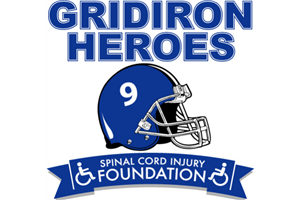 Through their scholarship program, they provide funding for items and services such as fitness memberships, team dues, everyday living supplies, work related equipment, educational expenses or participation in a special event related to spinal cord injuries.